A profile of Belgium-based professional kitchen design consultancy, ERM Project, looking at its history, milestone projects and expansion plans. Changes in the eating out culture is leading new players to enter the grab-and-go dining segment across Europe. Discover how countries including France, Spain and Germany are approaching this growing trend that is already well-established in the UK. As tough new laws were introduced in France this year, other European countries are focusing on eradicating food waste. A look at the leaders in the fight against waste, and how and why foodservice operators should be paying attention to this issue. Go on a tour of Shanghai's oldest restaurants and discover some of the most famous dishes from the people who make them. From Xiaolongbao and Eight Treasure Duck at the Shanghai Classical Hotel, to hairy crab at Wang Bao He Restaurant, and not forgetting shengjian bao at Dahuchun, these are some of Shanghai's culinary sweethearts. Tips, tricks and recipes for infusing spirits and making cocktails. Desserts in Shanghai that go above and beyond to wow in terms of technique, texture and taste. Making filter/drip coffee at home doesn't need to be daunting. Follow a step-by-step guide to achieve a cafe-quality brew. After almost 12 years on Shanghai's Bund, Vongerichten decided to give his Shanghai signature restaurant a facelift. 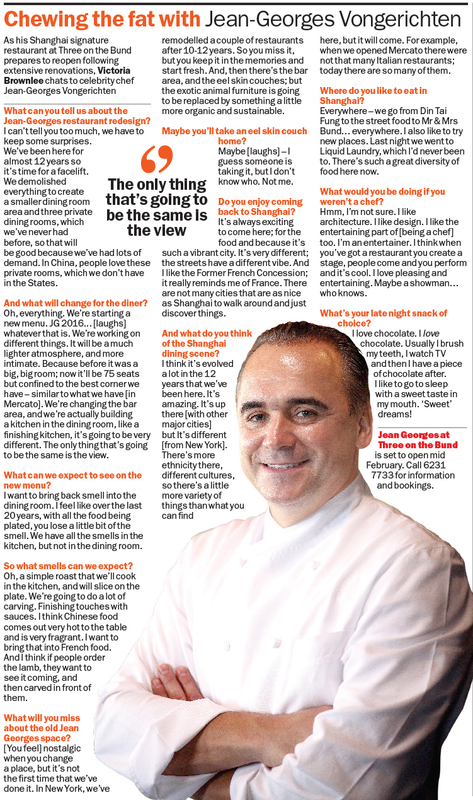 We chat about the redesign, the new menu, the Shanghai dining scene and his favourite Shanghai haunts. In a city with a glut of hotpot restaurants, here are some healthy alternatives where you can still indulge in this comforting dish. China’s collective waistline is getting bigger and bigger. As consumers move away from traditional diets, eat out more frequently as a result of busier lifestyles and are able to afford more luxurious foods, China’s population is increasingly suffering from weight gain and obesity. Private operators are now stepping in to address a growing demand for healthy food and wellbeing services suited to the rapidly-changing lifestyles of the urban Chinese. The number of foreign-owned food and beverage outlets in China has grown and diversified in the past five years. In a dining market that was, only decades ago, dominated by US fast-food franchises – including McDonald’s, KFC and Pizza Hut (having all entered the market between 1987-90) – there has been an influx of foreign-owned casual and fine-dining operators. These include the likes of Hakkasan, Pret A Manger, Oreno and Wolfgang Puck. Also carving out a place at the higher end of the dining spectrum are branches from celebrity chefs, including Jason Atherton, Umberto Bombana and Jean-Georges Vongerichten. Who doesn't like pizza. We scoured the city looking for Shanghai's very best pizzas. 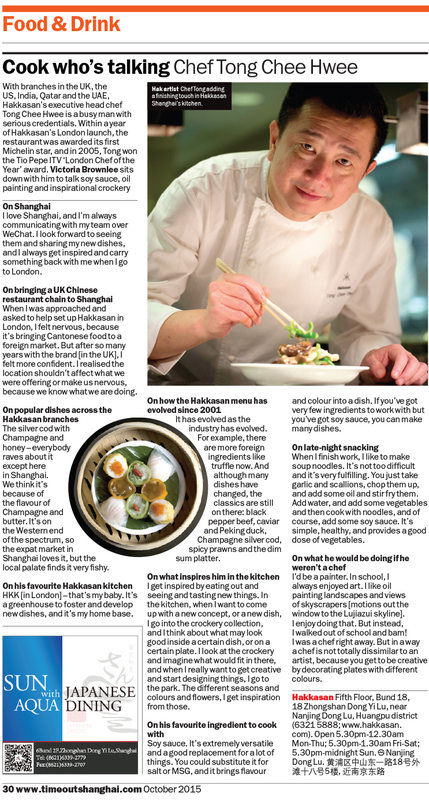 With branches in the UK, the US, India, Qatar and the UAE, Hakkasan's executive head chef Tong Chee Hwee has serious credentials. We sit down to discuss soy sauce, oil paining and inspirational crockery. 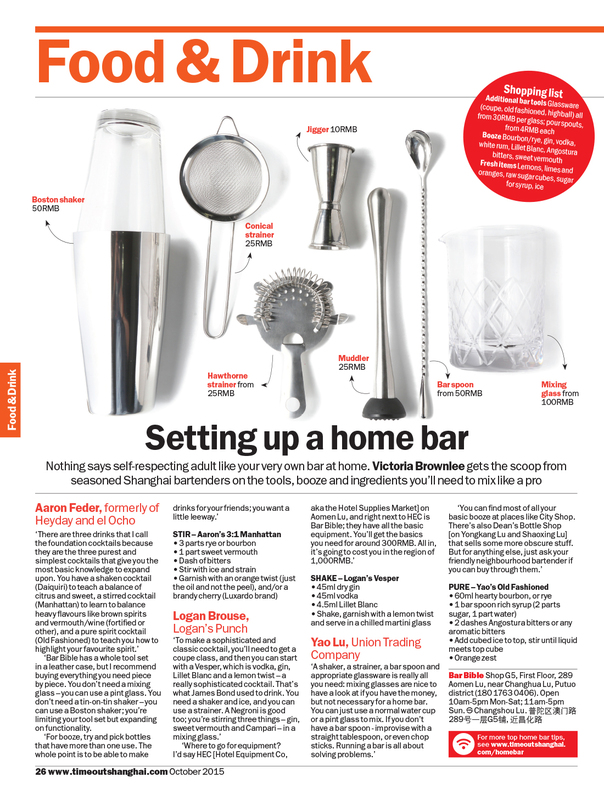 Tips, tricks and advice from bartenders on the key home bar tools needed to make quality cocktails. 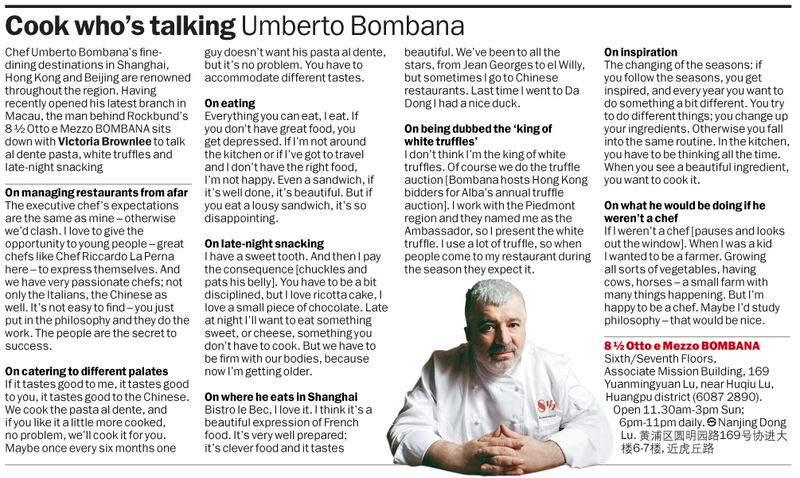 Chef Umberto Bombana's fine-dining destinations in Shanghai, Hong Kong and Beijing are renowned throughout the region. With another branch opened in Macau, we sit down to talk al dente pasta, white truffles and late-night snacking. Chef interviews and an event summary of the annual Omnivore World Tour in Shanghai, 2015. 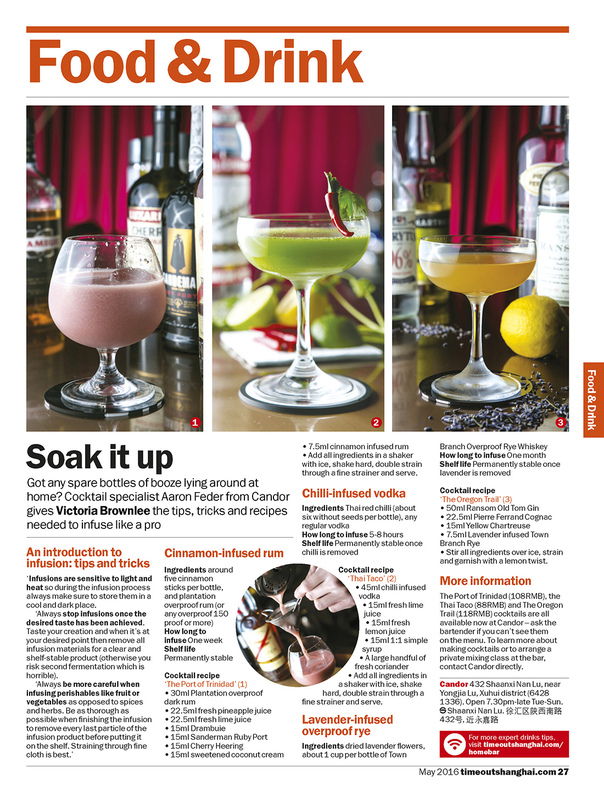 How to make a delicious chicken fat-washed cocktail.